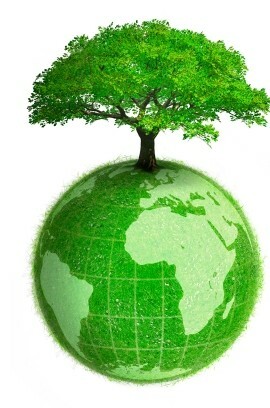 Many of us are now making more eco-friendly and environmentally conscious decisions every day. Whether it’s taking our own carrier bags to the shops, having a reusable water bottle or recycling your tin cans – little changes are making a big impact. When it comes to property, the eco revolution has increasingly been making waves. From solar panels to energy efficient lightbulbs, our properties are becoming better for the planet. These priorities are also affecting property investment, with an increasing number of tenants looking for eco-friendly essentials in their property. Eco-friendly homes are becoming increasingly popular with a new environmentally conscious generation starting to look for rental properties. Young professionals who are living in the city are less likely to buy a home than ever before, so are looking for a rental property that meets their exacting requirements. With many of them choosing to make environmentally friendly choices, like going plastic free or cutting down on how much meat they eat, accordingly they are looking for eco-friendly homes too. Environmental impact is increasingly on the agenda of consumers in every aspect of their lives. Many are also willing to pay a premium for eco-friendly purchases. Research has shown that UK consumers would pay an average 10% more if they were buying something they thought had a positive impact on society. Property investors would be wise to bear this in mind when looking for new property investments. In an increasingly competitive rental market, the ability to raise prices because of eco credentials is a lucrative option for investors. Furthermore, 40% of consumers think that sustainability is important when they are making a purchase. The impact of this can be seen in the growing number of brands and businesses that are making their environmental commitments obvious to consumers. It is clear that savvy property investors can be both environmentally friendly and business smart when looking to purchase new properties. In another study, 80% of tenants believed that their landlords should be considering the environment more, and suggested measures like double-glazing, insulation and eco-modifications. These simple measures can make a large impact on the appeal of a property to prospective tenants. Increasing energy prices are another concern for occupants. In addition, 55% of renters asked said they would prefer a rental property with a smart meter if it was the same price. Energy efficient measures are both good for tenant’s monthly costs and for the environment so buy to let property investors can be at an advantage if their property offers these. As of April 2018, buy to let landlords are legally required to have an EPC rating of E or above in their properties. This means that property investors are increasingly looking at new build properties which are already energy efficient and don’t require costly renovations. Tenants can also legally request that a landlord makes property improvements if the EPC rating is F or G.
Developers are increasingly taking sustainability and environmental impact into consideration when building new properties. Properties with energy efficient specifications, like many by RW Invest are providing investors with lucrative returns and high tenant demand. Recent changes to regulation mean that new build properties need to be energy efficient and this is making a huge impact on the buy to let market. The trend towards environmentally conscious properties looks set to continue, with eco-friendly qualities high on the agenda of both potential tenants and investors.